Eventually in the life of every gardener we become tired of the mainstream offerings found at garden centers. Hungry for the unique, we often go off to search the listings of specialty mail order nurseries. But, like grocery shopping online, the thought of having someone chose a product for you always leaves me a little skittish. I'm the type of person who loves to agonize for hours over which plant to chose on a bench, then celebrate this accomplishment by showing it off to everybody. If the fear of online ordering sends you into a panic than what other choices do we have? Well, California's Monrovia Nursery has come up with a solution. In 2009 they coupled up with a giant of the horticultural world, Dan Hinkley and came out with a hand selected collection that 'dares to be different'. Instead of solely going the route so many breeders are by constantly re-releasing a supposed new version of an old favorite, they're bring excitement to the garden world with nearly 60 rare and difficult to find plants originating from Hinkley's personal worldwide collecting expeditions. Although limited by availability, its a bold step for any grower to be investing in little known and rare plants during a hard economy. For a plant nut like myself, waiting for that truck to arrive with the latest offering from Hinkley's collection that I've ordered is on par with a child's excitement of Christmas morning. Once unloaded, I waste no time in calling my connoisseur customers to report of what horticultural treasures they'll find on their next visit. Plant collecting is just as addictive as any drug on the market. I guess in the grand scheme of things, that makes me a dealer! My first experience with this new line of plants was to be with the Golden Crane Hydrangea, Hydrangea angustipetala 'MonLongShou'. This came from a collection that Hinkley had made from seed collected in Southern Sichuan Province, China. Hydrangeas have enjoyed a resurgence in recent years but the constant regurgitation of endlessly similar cultivars has taken the shine off this explosion. What sets this plant aside is that its one of the earliest to set flower and carries a fragrance., a trait very rare in most hydrangeas! I've read that it fills the air with a jasmine-like perfume so strong that you smell it before you see it. 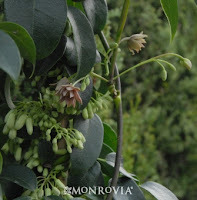 Another Hinkley plant that hooked me by its charm is Cestrum 'Orange Peel'. 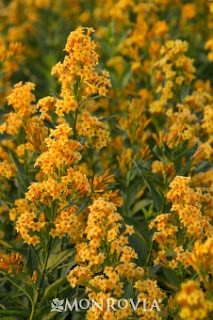 As the name suggest the flowers pure orange that draw in Hummingbirds and Butterflies alike over a very long period. At sunset it release a sweet scent that hangs in the air but isn't noticeable during the day. Favoring warmer locations, it acts like a die back perennial in zone 7, only to reemerge the following spring. I had planted an experimental one where I work to test its resilience, but discovered it fell foul to the hand of an unskilled garden laborer who mistook its lifeless stems as a dead plant. Now safeguarded in my own garden, I'm excited to test its hardiness again before I unleash it on my customers with a vengeance. A name that leaves many wondering if you really just said Sausage' and 'Vine' together! 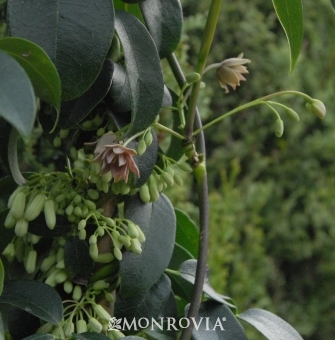 Don't worry, Holboellia coriacea or Sausage vine doesn't actually produce sausages but instead large lavender-pink fruit shaped as meaty bratwursts. The power of attraction drew me in instantly when we cranked the doors of the truck open only to be enveloped by highly perfumed flowers. Did we even need to concern ourselves with facts like its durability, easy-to-grow nature or evergreen foliage? No, this sirens charm had hooked all who stood by the back doors. Come to think of it, I don't think any customers had a chance to buy one as all the stock was consumed by our staff! I see this plant as the jewel in the crown of the Dan Hinkley / Monrovia offerings. Ok, its a personal statement but this is the coolest thing I've seen. A hardy Schefflera from the mountains of Vietnam, claimed to be hardy to zone 7! 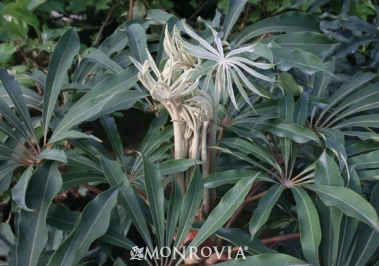 Scheffleras, or Umbrella Trees are normally seen as tortured houseplants, often collecting dust in dark corners of homes or offices but prized for the umbrella-like foliage texture they offer. With this introduction, it offers the same textural qualities for use outside. Small flowers in summer give way to an exciting display of purple fruit thats equally pleasing to the foliage. I've always had an affinity for tropical inspired gardens and this release will help those with similar appreciations to achieve this concept. During this time of economic hardship, Monrovia has thought outside of the box and set themselves apart from the group of mainstream group of growers. By bring onboard Dan Hinkley, they have begun to offer the spirit of adventure for the gardener looking for something different. Maybe this partnership will echo in a rebirth to the famed golden era of plant collecting last seen during the reign of the famous Veitch & Sons nursery in England. Now the only questions is, do you dare to be different? There are definitely some jewels there. I'd forgotten about that Sausage Vine 'Cathedral Gem' after seeing photos and falling in love at a talk given by Mr Hinkley earlier this year. Must keep an eye out for it! The Sausage vine is a must, you'll never regret buying one once it flowers! My hat comes off to anyone pioneering new plants and taking the risk on an unknown venture. Thanks for reading. I'll take one of each! Oops, wait.. I have no where to put them. :( I wish these came in dwarf varieties. Be prepared to say 'and' another sixty times! Its taken a while to build up stock since it was announced that Dan Hinkley had teamed up with Monrovia, but now we're beginning to see the fruits of that coupling! Thanks for reading. Super exciting ! After years of listening with rapture about Dan's new discoveries, it's awesome to think we might actually be able to GET some of them! So I got Holboellia from YOU early in the season - still trying to find the right location. I've had cestrum OP for several years - totally hardy, but a WILD, rangey 8' (die back)shrub now, which flowers OK, but not in proportion to its size. So it's coming out. That hydrangea .....still available? Desperate to get that fragrance into the garden ! Thanks for your great posts, Rob. I've heard the same comment from a close friend of ours that the Cestrum is a monster. I'm hoping a hard cut back in May might keep it in check for the rest of the year but mines in its first year. Still flowers like crazy. 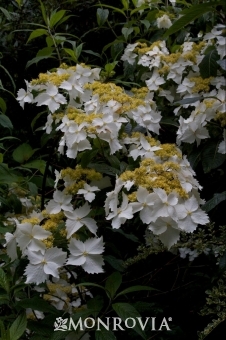 And yes, I do have some Golden Crane Hydrangea in stock though small in 2 gallons. I've still got to enjoy the fragrance, wacky spring screwed it up! Well, we will see how Golden Crane handles this awful weather in my Reston garden. It has looked very wilted several times in the last three weeks. I have had very few flowers and the fragrance is slight. I will give it another season before I give up on it. Don't give up just yet! Some Hydrangea's need a little time to settle in before they begin to shine. Mine limped along last year and picked up a little bit this year. Next year I'm sure will be different. Remember the golden rule: 'First year they sleep, second year they creep, third year they leap'!